When you book your test, you will be required to pay the necessary fee. The fees differ depending on the type of driving test you are taking. The standard “Car” theory test fee is £25.00. The car theory test in Worthing is made up of two parts; multiple choice and hazard perception. The multiple choice section is completed using a touchscreen computer. The hazard perception section records your responses through the use of a computer mouse button. You need to pass both parts to pass the theory test. If you pass one part and fail the other you will fail the whole test, and you will need to take both parts again. Before the test starts you will receive instructions on how the test works. You can choose to go through a practice session of the multiple choice questions to get used to the layout of the test. At the end of the practice session the real test will begin. A question and four answer options will appear onscreen and you have to select the correct answer to the question using the mouse. Some questions may require more than one answer. You can navigate between questions and ‘flag’ questions that you want to come back to later in the test. You will have 57 minutes to answer 50 questions. After your short break, you will be shown a short tutorial video clip about how the hazard perception section of the test works. 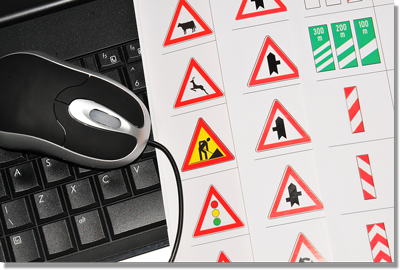 The hazard perception test is also delivered on a computer but you respond by clicking a button on the mouse. You will be presented with a series of 14 video clips which feature every day road scenes, in each clip there will be at least one developing hazard, but one of the clips will feature two developing hazards. To achieve a high score you will need to respond to the developing hazard during the early part of its development. The maximum you can score on each hazard is five. You will not be able to review your answers to the hazard perception test; as on the road, you will only have one chance to respond to the developing hazard. As your Driving Instructor I will work with you to make sure that you are fully prepared for your Driving Test in Worthing.I can offer advice and help in ensuring that you have the best possible chance of achieving a pass. You will of course need to take the time to learn the Highway Code, and have a sound knowledge of traffic signs. Once you have passed your theory test, you can book your practical driving test. You can book your official DSA practical driving test online at Direct.gov. (see the "useful info" page for videos) To book your test, you will need your valid Great Britain or Northern Ireland provisional driving licence number, your credit or debit card details and a theory test pass date and certificate number. Practical Driving Test fees also differ depending on the type of test you are taking and also the day and time you want to take your test. The cost of a Car practical driving test on a Weekday is £62.00. On a Weekday evening, weekend or bank holiday, the price is £75.00. After the safety questions you will be examined on your general driving and on one reversing exercise. The reversing exercise will be chosen from: reversing around a corner, turning in the road or reverse parking. You may also be asked to carry out an emergency stop exercise. A section of the driving will involve being tested on independent driving. During this part of the test the pupil will be asked to drive for approximately 10 minutes either following a series of directions or by following traffic signs, or a combination of both. If required, the examiner may show the pupil a simple diagram of the intended route to follow. Throughout the test you should drive normally, as if it was a lesson, and I was still in the car. If you make a mistake, don’t worry or panic, it might be just a driving fault, and may not affect your result. The examiner will be looking for an overall safe standard of driving. You can make up to 15 driving faults and still pass the test (16 or more results in failure). However, if you commit one serious or dangerous fault you will fail the test. If at any time your examiner considers you to be a danger to other road users your test will be stopped. You are allowed to take someone with you on the test; this person must be over 16 years old and cannot take any part in the test. When you pass your test, and have a photo card driving licence issued after 1 March 2004 the examiner will ask you if you want your full driving licence issued to you automatically. When you pass your test but do not want to use this automatic service, or have a licence issued before 1 March 2004, you will be given a pass certificate by the examiner. On the back of the pass certificate it tells you what you need to do next. 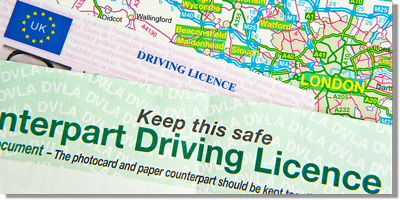 This involves sending your licence and appropriate fee to DVLA who will then check your application and issue you with a new full licence.